The One Eight distillery occupies a stretch of a low-slung brick warehouse in Ivy City, a bedraggled, industrial neighbourhood two miles north-east of the Capitol, in Washington, DC. Inside the heavy metal doors that mark the entrance sits a handsome, fully stocked bar, a seating area complete with table football, and a merchandise display featuring branded T-shirts which are occasionally pilfered by the resident dog, Boomer. Opposite the entrance are doors leading to the business end of the distillery, where huge sacks of grain come in and bottles of whiskey are sent out. It is industrial in a strange and inviting way. Shapely copper and steel stills line one wall. In the bulb atop the still, a soup of fermented grains is heated to boiling point, sending on its way a vapour of alcoholic refinement that will become hard liquor. At the far end of the room, great oak barrels of ageing whiskey rest in stacks. 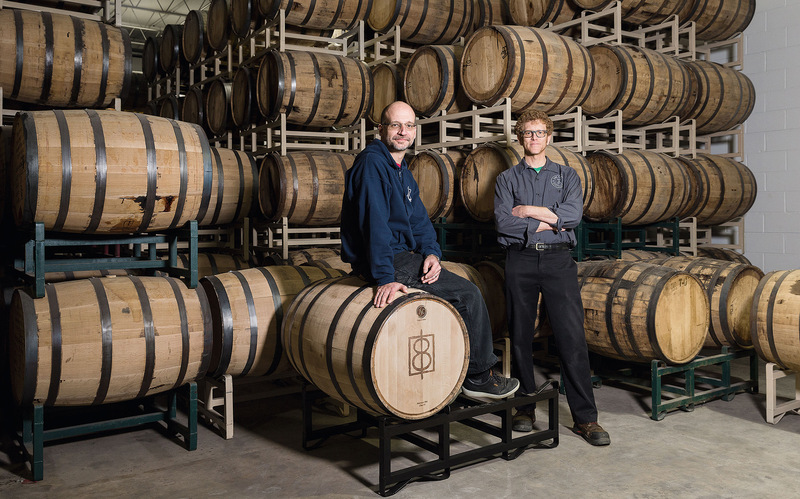 Both Sandy Wood and Alex Laufer, the distillery’s co-founders, are on their second careers. Wood previously worked as a lawyer, specialising in immigration cases. Laufer ran a biotech lab in Silicon Valley. Old friends who decided to take the plunge, the two spent several years studying the art and science of the business, learning from other craft distillers, raising capital and finding the right location for their operation. Even after they began making spirits the waiting continued; bourbon, which Wood and Laufer were most interested in producing, must age for more than a year to develop its distinctive flavour and colouration. Since opening two years ago, One Eight has sold unaged spirits like gin and white whiskey. This autumn, at long last, they released the first bourbon to be produced in the District of Columbia since the end of Prohibition in 1933. 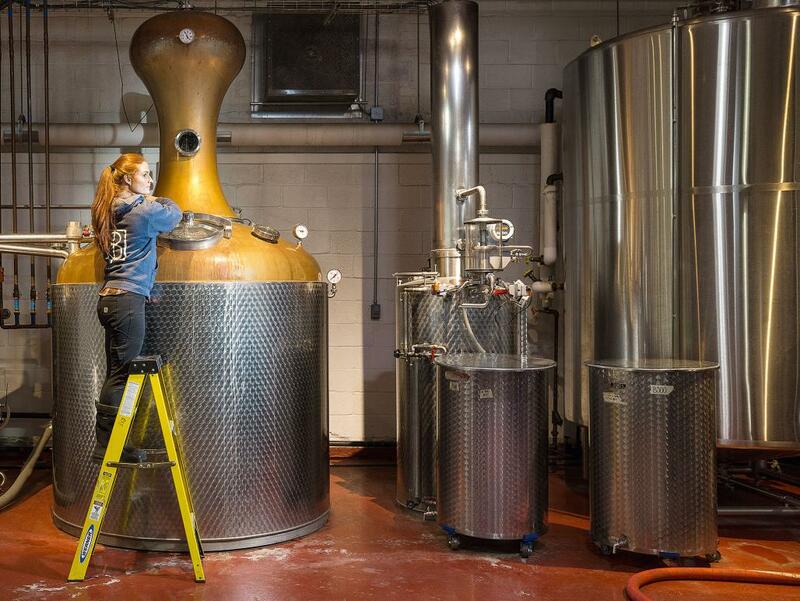 The craft distillery business is booming in the District of Columbia, as it is around the country. Within the context of industrialised economies as a whole, these businesses represent a drop in the sea. On one estimate, craft spirits account for roughly 2% of the American market. Yet they are part of a growing movement that is transforming the consumer economy in cities around the world. The District’s first winery opened not long ago, and the city’s bars inevitably carry several locally brewed beers on draught. There are craft-made pickles and craft-roasted coffee beans. There are craft, nose-to-tail butchers selling cuts of locally raised beef. There are potters and leatherworkers. There are traditional barbershops, which will cut your hair and trim your handlebar moustache, and tailors who will make an appropriately Victorian suit to go with it. There are – no joke – sellers of artisanal ice. Sandy Wood and Alex Laufer of One Eight distillery. For the proprietors of craft businesses the work is hard but the life is good. The co-founders of One Eight Distilling seem to be enjoying themselves, and it isn’t hard to understand why. They are surrounded by good booze, for one thing. But as they walk me through their production floor, describing how they found their supplier of rye, and how their German-made stills work (they can be controlled with an app, which is useful when a distilling run must begin at 3am if it is to finish by day’s end), the sense of pride and passion is clear. Their job is cool, and they know it. Which, if you think about it, is odd. The world’s attention these days is focused on tech – on how much it has changed our lives and how much more it will do so in the future. What remains of manufacturing is being turned over to machines. People’s involvement is increasingly limited to programming those machines and worrying that machines in future will programme those machines. Thinkers and policymakers struggle with the question of what happens to the human race when work as we currently conceive of it withers away and society has to organise itself around something other than an eight-hour day in the office or the factory. Before the Industrial Revolution, the craft economy was simply the economy. Clothing, processed food, furniture, wood and iron tools were all made by hand, using simple equipment, one unique batch at a time. Artisans learned their trade through years of observing experts, within the family or in a structured apprenticeship. The quality of both the instruction and the finished products was highly variable. There was virtually no opportunity for mass education in trades, nor a chance for better producers to capture increased market share by scaling up production. The destruction of the old craft economy was an essential component of humanity’s great transformation from a species chronically at risk of starvation to one that happily spends $6 on a cup of coffee. In western Europe in the 16th and 17th centuries, average incomes were roughly the same as those of many poorer countries in sub-Saharan Africa today. But just a century or two later, incomes in Europe had doubled or tripled, thanks, largely, to the displacement of craft workers by industry; and, in subsequent centuries, the progress of industrialisation multiplied those incomes many times. Industrialisation divided production into highly specialised tasks. As Adam Smith noted in his description of the workings of a pin factory – still the best account of the fundamental efficiency of capitalism – these could be carried out more swiftly than if a single worker was making an entire object. Uniformity – making components and finished products to exact specifications – saved time in manufacturing. Since learning to turn a few knobs took less effort and knowledge than mastering a craft process from beginning to end, industrial workers were less skilled than artisans. And since parts no longer needed to be individually machined or tweaked before being added to the assembly, individuality and creativity were squeezed out of the process. These factories were powered not just by people but also, increasingly, by machinery. Because capital equipment was expensive, letting it sit idle was costly, so foremen and managers were employed to push labourers to do their job in a particular way over a particular span of time. The productivity of factories was fine-tuned through time-and-motion studies so that every last ounce of value could be extracted from the capital and labour employed in them. The machinery beside which workers toiled shaped their lives. In the early days of capitalism, craftsmen took their revenge on the machines that had displaced them by smashing them. In the course of the 19th century, those protests died out along with the artisans. Yet the notion that work should and could be different never quite went away. The machine became a powerful metaphor for expressing discontent with a system which sustained people but also trapped them: capitalism turned workers into cogs. For consumers, industrialisation brought huge benefits. Goods became cheaper: by the middle of the 20th century, low-cost consumer goods blanketed the economy, filling the closets and pantries of a large and growing middle class. 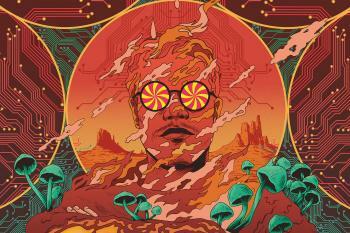 Hom­ogeneity made them safer and more reliable: while in the craft economy people might enjoy one bottle of spirits and be poisoned by the next, in the industrial economy they knew that every branded item they bought was going to be the same as the last one. Cheapness and uniformity signalled a capitalist egalitarianism: people shopped at the same few stores, drove the same few models of car, and smoked the same few brands of cigarettes. But then, thanks to technology, globalisation and tax cuts, egalitarianism went into retreat. Between 1978 and 2014, the share of national income earned by the top 1% doubled in America. And as pay cheques swelled, well-heeled consumers began to want something a bit different. Most of Washington’s artisanal businesses can be found along an industrial fringe running north and east from the Capitol building along the railroad tracks which lead to Washington’s Union Station. The warrens of the rat race are visible to the west, where block after block of flats and office buildings make up the bustling downtown of the District of Columbia and the liveliest residential neighbourhoods around it. The people occupying those buildings are part of America’s elite professional class. These people – IT professionals, management and PR consultants, lawyers, lobbyists – have grown more numerous and richer than ever in the past quarter century. As demand for their services has grown, so has the gap between their earnings and the rest of the population. Yet their gains have not been made entirely without cost. 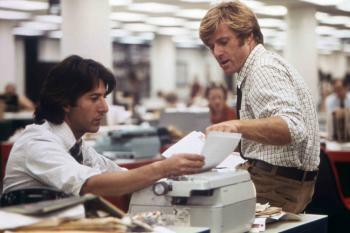 Professional life, in Washington as elsewhere, is testing. Work never really ends. Office hours are long, interruptions outside of work frequent, and even the normal humdrum of family life – like drinks with neighbours or children’s sport leagues – turns towards work, as the assembled adults discuss the news and discover professional connections. The growing wealth of the professional class means that the property market weeds out those not fully committed to their career: housing a family in a good neighbourhood takes two substantial salaries, and there must be enough left over to pay for child care and, in many cases, private schooling. Nor do professionals always derive from their occupation the satisfaction they once hoped for. Their output is an abstraction – an analysis, perhaps, that leads to a chunk of money sitting in one bank account rather than another – in which it is sometimes hard to take pride. 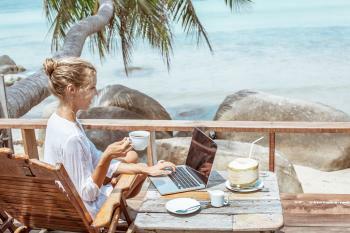 Success is relative – performance is judged by reference to the salaries and achievements of peers – and so is inevitably incomplete, for there is always someone working harder and earning more. Tasks are shaped by colleagues’ and bosses’ decisions. Sometimes this feels like teamwork, sometimes like powerlessness. The living conditions of Washington’s professionals are incomparably better than those of the 19th-century workers Karl Marx observed, yet his notion that capitalism deprived labour of the deep satisfaction work can provide has a contemporary resonance in downtown Washington. The craft economy offers an alternative to the machine. In Brookland, a Washington neighbourhood not far north of Ivy City, sits what looks like a stately old rail-side warehouse, now repurposed into flats. In fact, the building is new, part of a wave of recent development that is drawing residents and consumers into the area. It is bisected by an alleyway lined with glass garage doors. This is the Arts Walk, an incubator of sorts for many of the city’s rising craft businesses. 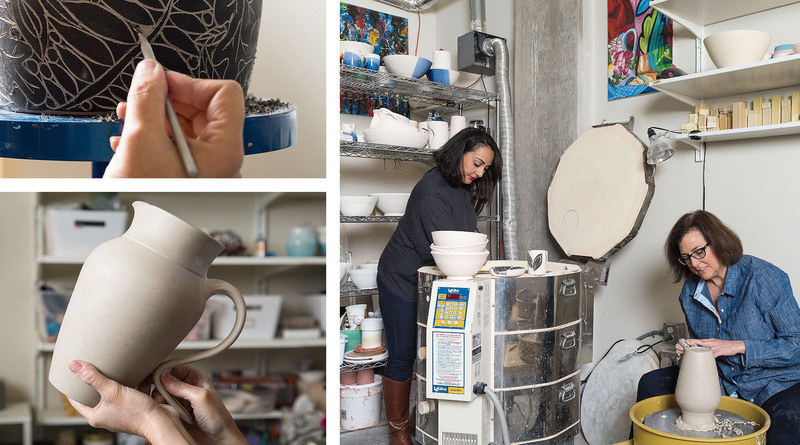 Kuzeh Pottery occupies one of these coveted studio spaces. Pegah Shahghasemi, a former graphic designer, had dabbled in pottery when she took time off to have a baby, and found it soothing. In 2014, she and her business partner, Lisa Ramber, took one of the Brookland studio spaces, where they now make simple, beautiful, functional ceramics. Not that their new careers offer an escape from hard work: Shahghasemi has to make an effort to carve out time to spend on new pieces, because half of her life is eaten up by management and logistics. But her involvement in every aspect of the business is part of the point. By turning her back on the pin factory – on the division of labour that makes capitalism efficient – she has regained control. She and Ramber decide what to make. They shape the clay themselves and leave the studio each day with the dust on their palms as evidence of their labour. They converse with their customers, who come to the retail counter at the front of the studio and ask where the designs originated and how the cups and vases are made. Shahghasemi and Ramber are part of a community of artisans: they offer pottery classes, and swap business tips with other craft entrepreneurs, much as they would have a few centuries ago. 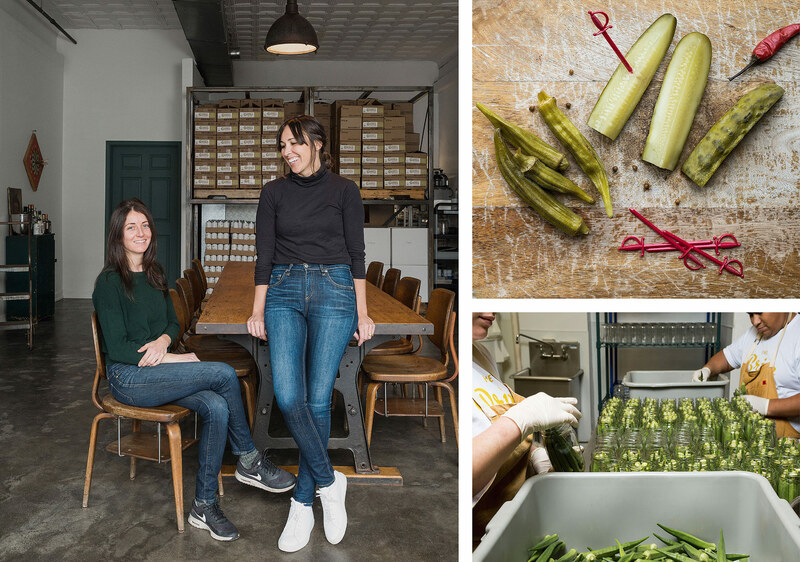 The transition from professional to artisanal work can be jolting notes Sarah Gordon, a former branding and communications consultant, who co-founded Gordy’s Pickles. The craft life is a shock to the system: all-consuming and intensely physical. Running her own business throws up a constant series of challenges but she relishes the fact that her work is entirely in the service of her passion. 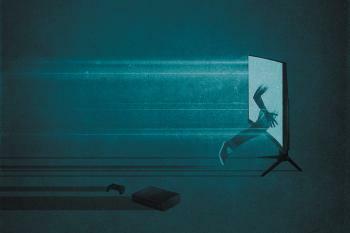 More than any previous generation of workers, today’s professionals are divorced from the physical world. They work on screens and could operate anywhere in the world that has electricity and Wi-Fi. For those who have migrated into the artisanal world, the physicality is a huge part of the pleasure. Gordon produces lip-smacking pickles and relishes, hot and sweet; she selects and carts around piles of produce and mixes up a locally famous brine with a sweet tang that hangs in the air. In their work, Shahghasemi and Ramber feel the curve of the pot as it rises on the wheel and the heat of the kiln as it is fired. Traditional neoclassical economics treats work as a cost – something that people have to do in order to get money. This old-fashioned view survives in economic models, yet, as the growing appetite for artisanal work shows, it is so simplistic as to be misleading. Craft is, in general, far less well-paid than professional work. Yet the benefits it offers – the satisfaction of controlling one’s own destiny, acquiring a range of skills, creating beautiful and delicious things, forming friendships with suppliers and customers – make up for the reduced incomes and ensure that there is a small, steady migration of professionals into the craft economy. One consequence is that employment in the craft economy, once the domain of hippies and eccentrics, now carries a certain status. 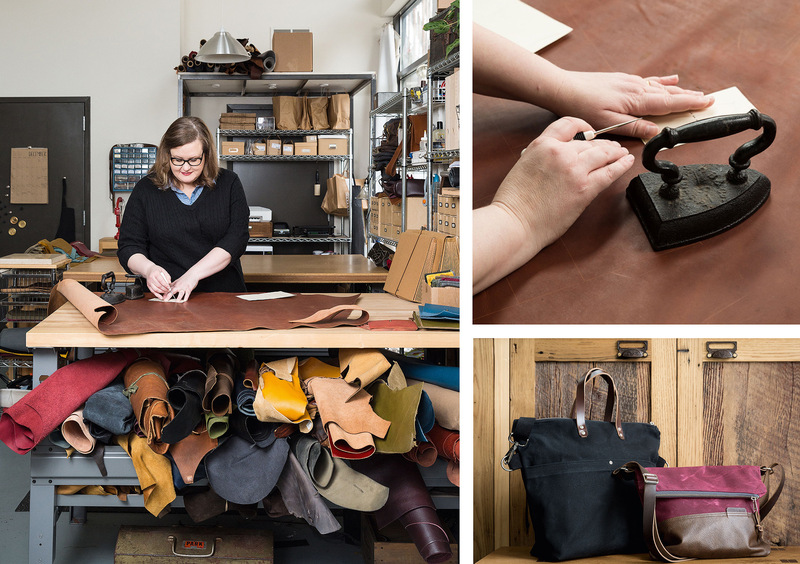 Leaving professional life for the artisanal world inspires envy among friends, says Katie Stack, the founder of the artisanal leather-working business Stitch and Rivet, which operates out of a large studio not far from Kuzeh. She tells me that her attorney (whose knitted goods Stack sells alongside her leather pieces) “wants to quit and do what I do”. Another consequence is that the professional world subsidises the production of artisanal goods. Some craft entrepreneurs, like Wood and Laufer, use the capital accumulated during a professional career to learn skills or finance a start-up. Some have professional spouses who take most of the financial strain. Some use their networks of well-off professional contacts to find investors. These days investing in a craft business has the kudos that investing in a movie once did. Even the low prices that Kuzeh and others pay at the Arts Walk studios are an implicit subsidy. Wealthy professionals like to be near people making and selling nice things, so the artisans’ presence allows the developers to charge higher prices for the flats above. Thus does capitalism doff its cap to craft. But what accounts for the consumer interest in all things artisanal? Why is it that urban professionals choose to spend their money on locally made rye whiskey and pickled okra, where once they might have splashed out instead on Armani and Dom Perignon? Everyone has their own entry point into the artisanal economy, and mine was beer. From the late 1980s, the number of craft brewers in America exploded, transforming the country from a beer backwater known for pale and flavourless brews to a world leader in the production of good beer. Craft beer set the pattern: the obsessed small-timer making batches for friends, finding a market and paving the way for others. In my 20s, the taps in bars around Washington began to fill with brands I had never seen before. It was then that I first thought about the subtleties of taste, the process by which the beer was made and the people who mixed the barley and hops. Craft beer is not cheap – a good pint can easily run double the price of the suds that are advertised during football games. A jar of Gordy’s hot chilli spears typically sells for $10, compared with $4 for a jar of super­market pickles. Partly, that’s because these sorts of operations often use expensive ingredients. Partly it is because they are less efficient than the mass producers. Yet even as a young adult, without much spare cash after paying rent, I found the money to pay for good beer. That was partly because it was better than the alternative; once you’ve got the taste for a good American IPA, it is hard to go back to the light stuff. The choice may also have been, in its way, a reaction against the staid values of older generations. They favoured branded goods partly because, in the era before multiculturalism, homogeneity was a social virtue. For subsequent generations, homogeneity lost its appeal. My parents had grown up in an age without much choice; discovering and appreciating something different and better naturally appealed. Craft beer was also an attainable luxury: an affordable badge of sophistication. Indeed, the rise of craft can be seen as the consequence of a shift in the way that status is conferred. Half a century ago, the markers of this culture were rigidly defined and well understood by elites and non-elites alike, notes Richard Ocejo, a professor of sociology at John Jay College, in his book “Masters of Craft: Old Jobs in the New Urban Economy”. Champagne and fine French cuisine were considered elite. Pickles and pottery were not. But elite pursuits need to be exclusive: once everybody can enjoy them, they lose their kudos. And as more people drank champagne and ate French food, so the new elite found non-monetary ways of distinguishing its pleasures from those of the hoi polloi: authenticity, knowledge and values. Authentic produce, in this context, is small-batch, variable and made with a short-supply chain. Ideally, its producer should hand it directly to the consumer. It is, in other words, the opposite of mass-produced, homogenised and industrial. The search for authenticity, thus, is a rejection of capitalist efficiency. But it is not enough that the product’s provenance should be good – it must also be known. When my friends and I savoured those artisanal beers, part of the pleasure was talking about the craft. We took a pride in our understanding of how beer was made and what ingredients and practices set apart Belgian-style brews, hoppy IPAs and sours. This knowledge was a key that admitted me into a club of people who valued the things that I did; it was part of the argot of the urban sophisticate, something that set apart the class to which we aspired. Craft producers are selling, among other things, their expertise, which they invite their customers to share. It doesn’t matter that rye has not historically been used to make fine whiskeys. What counts is the backstory – that the Virginia farm that grows the rye has been in operation for over a century and only recently discovered the exploding market for its grain among craft brewers and distillers. As knowledge has replaced glitz as a mark of status, so connoisseurship has taken on a new life. Once reserved for old elite pursuits, such as collecting art and wine, it has spread to every corner of the artisanal economy. Hang around the professional haunts in the world’s big cities, and you will meet people who can talk at length about chocolate or coffee, olive oil or bread, chillies or turntables. They are the artisans or the artisans’ customers, and they are as proud of their knowledge as an aristocrat is of his title. The artisans’ sales pitches invariably refer not just to specialised knowledge but also to shared values. The raw materials of the craft economy come from free-range animals and non-GMO crops. Craft businesses are not dumping waste into streams, evading tax or promoting them with adverts that objectify women. Craft consumption is a guilt-free experience, designed to meet the high ethical standards of those who can afford to have them. It is not just the craft economy’s raw materials that absolve its customers of guilt but also its labour force. The artisanal world is the only part of the economy in which jobs without white collars confer status. The highly paid professional buying an astonishingly expensive bar of chocolate hands over her cash without compunction, for she is giving it to someone who is, culturally, a fellow traveller, who chose his work among many options and gets as much satisfaction out of making his product as she does from buying it. Along Washington’s industrial fringe, just down the railway line from Brookland and not far from Ivy City, sits Union Market. In the 1980s this once-flourishing fruit and vegetable market, like much of the city, fell into disrepair. A decade ago, the area was an uninviting collection of crumbling buildings. Now, a transformation is under way at the market, as in the city of Washington itself. To its south-east rise a succession of new condo and office buildings. The refurbished food hall is jammed with counters selling all manner of gastronomic delights. It is not a bad place to sit and enjoy a beer from one of Washington’s excellent craft brewers, and ponder whether the city’s growing artisanal economy is a transient episode of nostalgia or a harbinger of a better future. One reason for doubting that craft will become a significant slice of the economy lies in its elite nature. 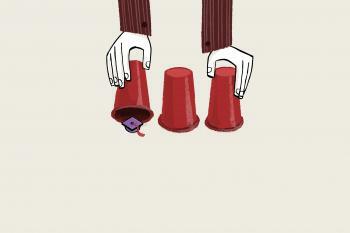 Elite pastimes are short-lived, for once they spread to the mainstream, the elite moves on. 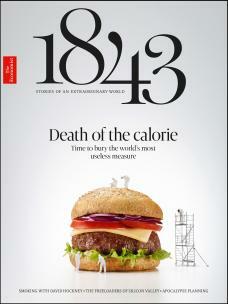 The appetite for specialised knowledge to which artisanal producers cater is not obviously durable. It is not necessary to have an encyclopedic knowledge of Colombian chocolate estates to enjoy a bar of the best, and if connoisseurship becomes commonplace, it may lose its appeal. Yet as far as consumers are concerned, the artisans have already changed the world. Capitalism is an adaptable beast, and the popularity of artisanal goods has led big firms to hoover up craft producers (AB InBev, for instance, has bought or invested in 14 craft breweries in America in seven years) and mimic artisans’ style, attention to quality and appeal to virtue. Some of this looks spurious and fake, but consumer goods have got better as a result – and some craft producers have got rich, encouraging others to try their luck. The more interesting question, though, is whether the rise of the artisanal economy is a sign of a large-scale, long-term change in the world of work. Behind that big question lie the still bigger issues with which thinkers and policymakers concerned about the consequences of automation are wrestling: how, if machines take over the economy, and earnings and capital are therefore increasingly concentrated in a few hands, should resources be distributed? And what, if machines are doing the work, does everybody do with their time? The possible answers to these questions range from the apocalyptic to the Panglossian. But the most widely discussed is also one of the more optimistic: a guaranteed minimum income, through which the high earners subsidise the majority, who can use it to pursue whatever activities they find fulfilling. It could just be that the rise of the craft economy is the harbinger of such a shift. Its workers are subsidised by high-earning professionals whose productivity has been enhanced by technology, enabling the artisans to follow passions that they would not otherwise be able to pursue. The machines, in other words, are liberating people from the machine. It’s a good thought to savour, sipping a tasty pint as I watch the craft economy distribute its bounties to producers and consumers alike.